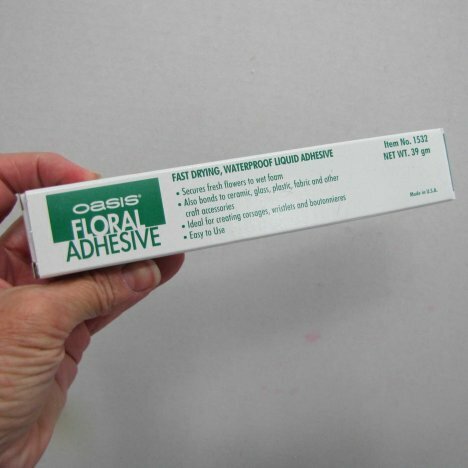 My favorite adhesive is by Oasis. Do not use hot or cold melt glue as a substitute. Hot glue damages the flowers and leaves. 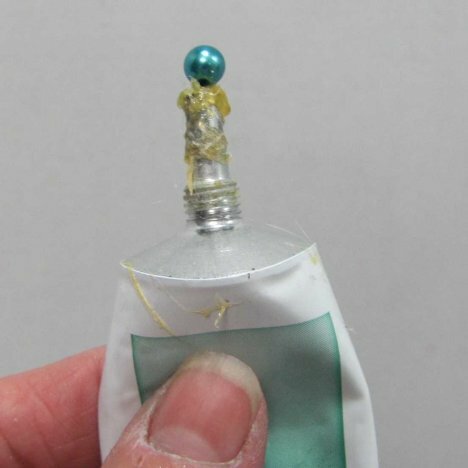 Both cold and hot melt glue become brittle when refrigerated and may pop off. 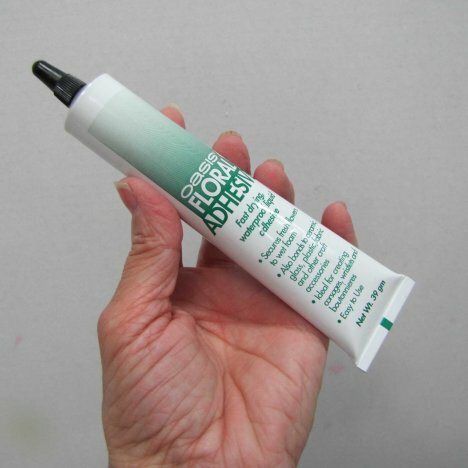 Floral adhesive is gentle and designed especially for fresh flowers. It is a little slower to set up, but holds flowers fast despite cold refrigeration and moisture conditions. Please know that the tube is under a lot of pressure. The instant you remove the cap the glue will begin oozing out. Be prepared for this and have a disposable plate ready. I keep a pearl corsage pin handy as well. 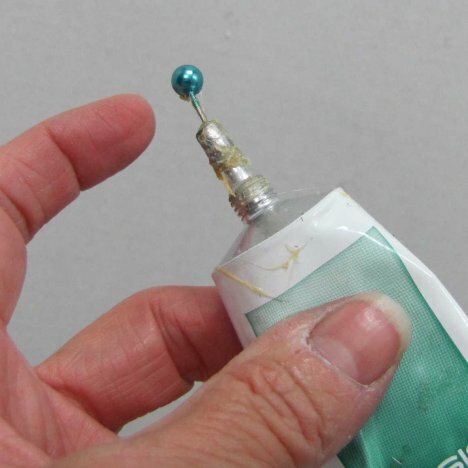 It is easier to push it in to hold the glue in the tube. The steel shank will keep the tube neck clear and allow the glue to flow. Continually screwing the cap back on and off without cleaning the nozzle each time can glue the nozzle firmly to the end of the tube. (I've found this out the hard way!) 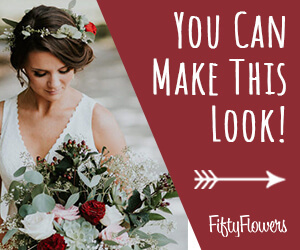 A corsage pin works much easier while you are actually making your corsages.